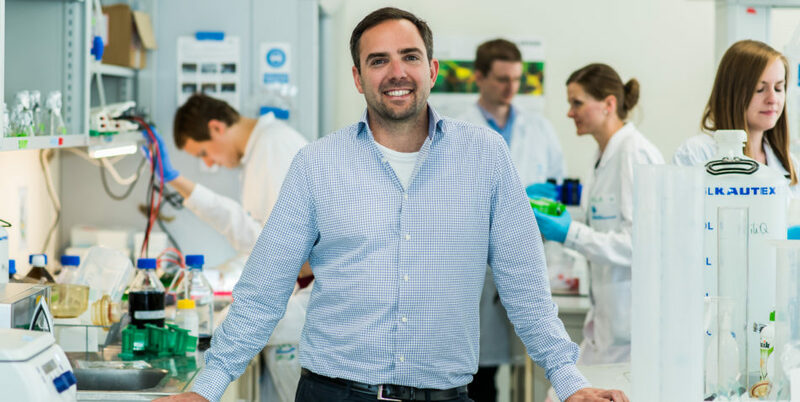 The winner of the FIRST TEAM programme run by the Foundation for Polish Science (FNP) Sebastian Glatt, PhD, in collaboration with Australian researchers, made a discovery regarding the molecular basis of progressive neuronal degeneration. The discovery holds out the prospect of future solutions which would slow down the course of neurodegenerative diseases such as Alzheimer’s disease and Parkinson’s disease. The results were published in Nature Communications. The scientists from the Jagiellonian University and the University of Queensland made their discovery based on the research on cerebellar ataxia, a disease caused by cerebellar damage, i.e. the part of the brain responsible for motor coordination. The researchers developed a new model for cerebral ataxia analysis which facilitated the discovery of genetic causes of this devastating disease. The scientists managed to find a link between ataxia and single point mutation in one of the genes encoding the Elongator complex. This mutation causes the deregulation of cell proteins necessary for the proper functioning of neurons, eventually leading to their gradual degeneration. The discovery made by the researchers from Poland and Australia has broadened our knowledge regarding the neurodegenerative disease onset mechanisms and may provide a basis for the future development of ways to slow down the process of neuronal death occurring in such diseases.